At Coral Gables Plumbing we offer you the fastest, most efficient service available, 24 hours a day. With an inventory of over 1,100 parts on our truck, and a system in place to restock our trucks daily, we eliminate wasted time at supply houses and stay prepared to repair. Our technicians are trained for video sewer analysis to eliminate reoccurring stoppages and get to the ROOT of the problem. With video proof of your problem you are much more likely to receive assistance form your insurance provider. We are prepared for all commercial repairs and our extensive experience in hospitals and commercial facilities allows us to handle the large jobs that scare other plumbers away. We are certified for medical gas installation and repair. 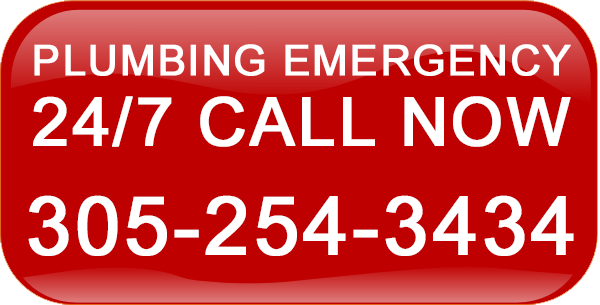 By owning our own supply house materials for emergencies our also available 24 hours a day to our plumbers! We stock unique parts and odd size piping at our facilities so that even when all the other suppliers have closed we are still able to get your water back on and your drains flowing. 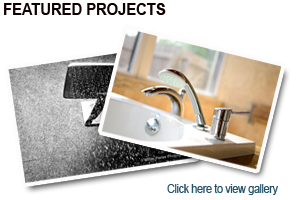 We repair and service all types of leaks: bathroom, kitchen, wall leaks, yard leaks, dripping faucets, slab leaks and more.